Jose Altuve (27) and Yuri Gurriel (10) will be key members of the Atros' quest to repeat as World Series champions. Photo by Keith Allison (flickr) [CC License]. Now mere days away from the start of the 2018 MLB season, we are starting to get a clearer picture of opening-day rosters and where the balance of power will lie. All offseason, we have been setting early odds on the biggest questions heading into the year — like whether Tim Tebow will ever crack the big-leagues, who will win the major awards, and where the best remaining free agents (and there are a lot of them) will sign. Now we’re bringing everything together under one roof with a brand-new mega-list of 2018 MLB odds and props. Below, we cover everything from the Fall Classic to the MVPs, from managers on the hot seat to free-agent signings. We also dive into the most trendy team (surprise, it’s the Yankees!) and player (Japanese import Shohei Otani). If you disagree with any of our numbers, or would just like to know the rationale behind our calculations, hit us up in the comments section or reach out on Facebook or Twitter. Let’s get to it. Can anyone dethrone the Astros and Dodgers in their respective leagues? 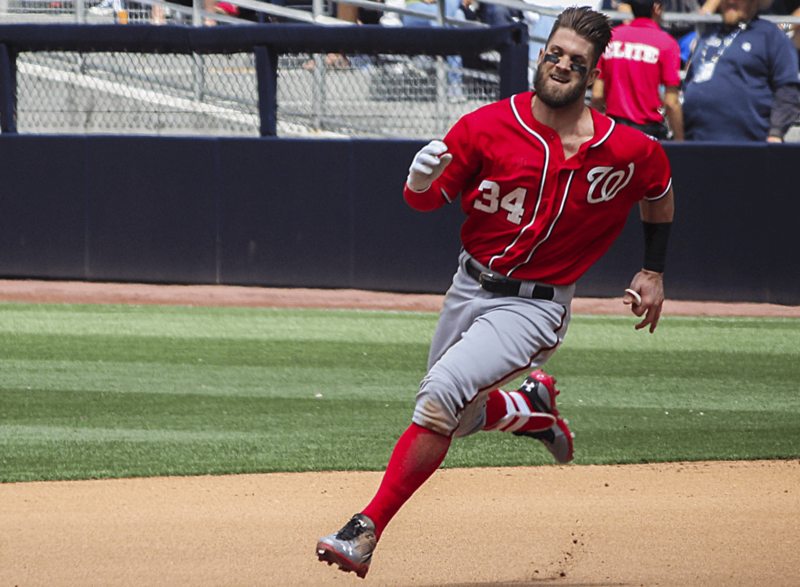 The Nationals have arguably the best starting rotation in the majors, plus a line-up led by MVP favorite Bryce Harper (see below for more on that). 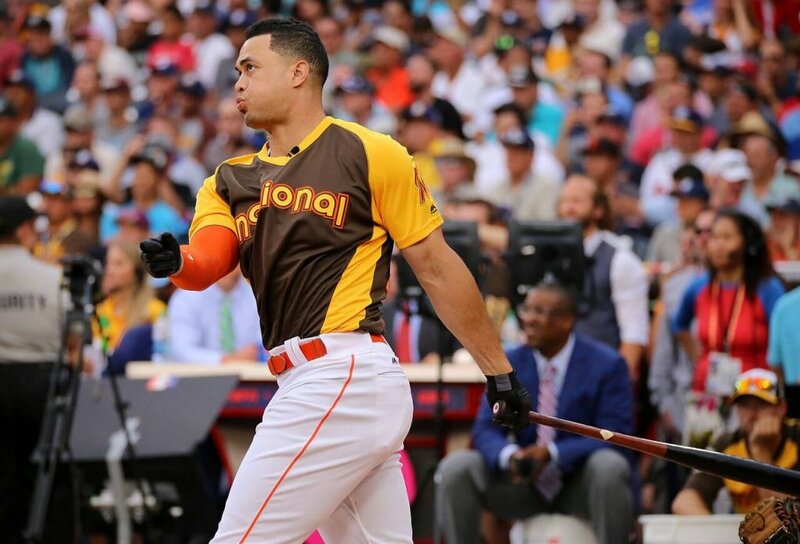 In the AL, the still up-and-coming Yankees made several nice additions, including reigning NL MVP Giancarlo Stanton. Very few baseballs in the Bronx will still have covers by season’s end. It’s not quite as likely as the three straight Warriors/Cavaliers matchups we’ve witnessed in the NBA, but a rematch of the 2017 World Series is still the most likely outcome. 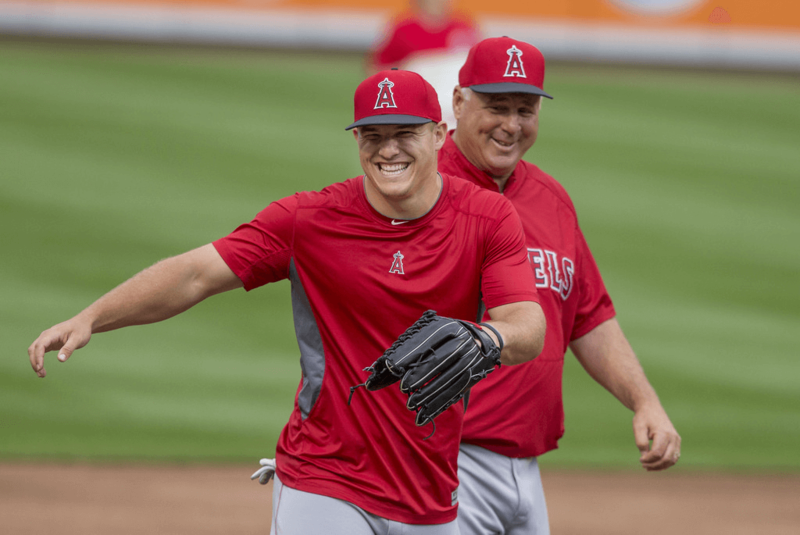 The Angels’ Mike Trout has already won two AL MVP awards (2014, 2016) and finished second three more times in his seven-year career. Photo by Keith Allison (flickr) [CC License]. 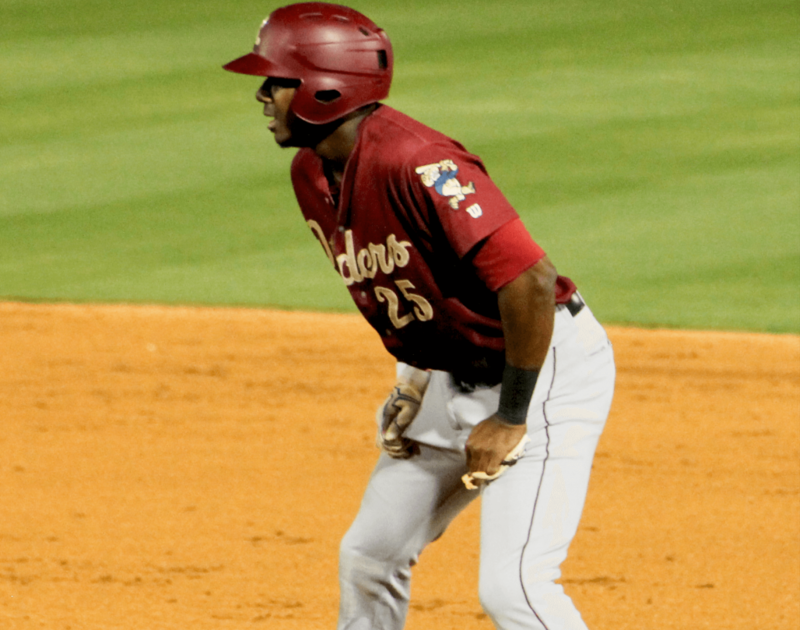 Will rookie SS Lewis Brinson bring a silver lining to what will surely be a disastrous year for the Marlins? Photo by EricEnfermero (wikipedia) [CC License]. 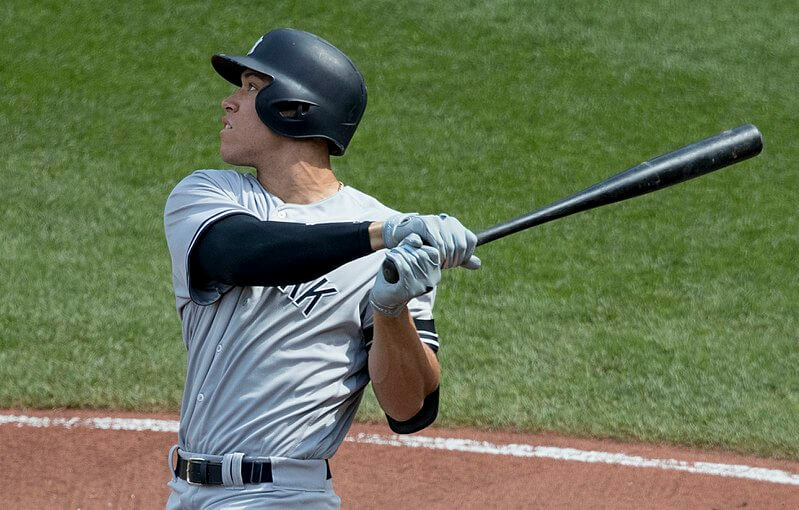 Can 2017 winner Aaron Judge repeat as AL Rookie of the Year? If you don’t get that joke, you should probably read our beginner’s guide to MLB betting. Photo by Keith Allison (flickr) [CC License]. 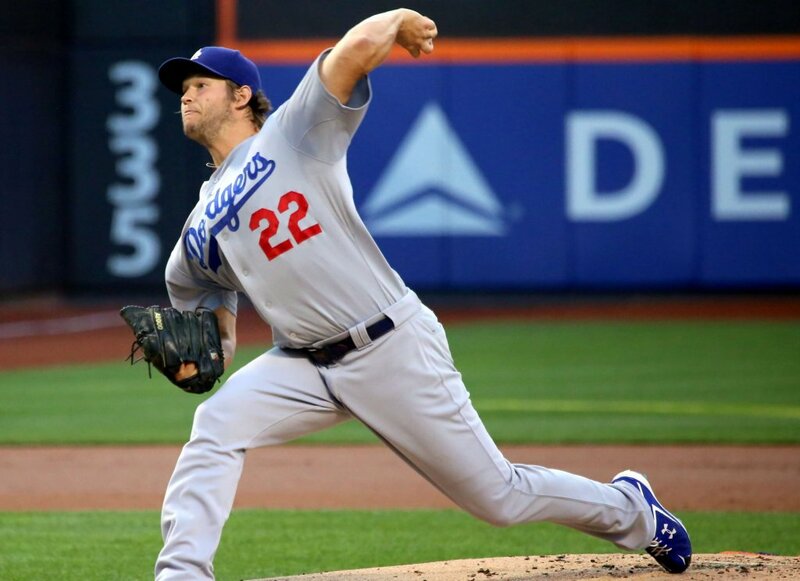 Clayton Kershaw (pictured) and Max Scherzer have each won three Cy Young awards. Will either become the fifth pitcher ever to win four? Photo by Arturo Pardavila III (flickr) [CC License]. 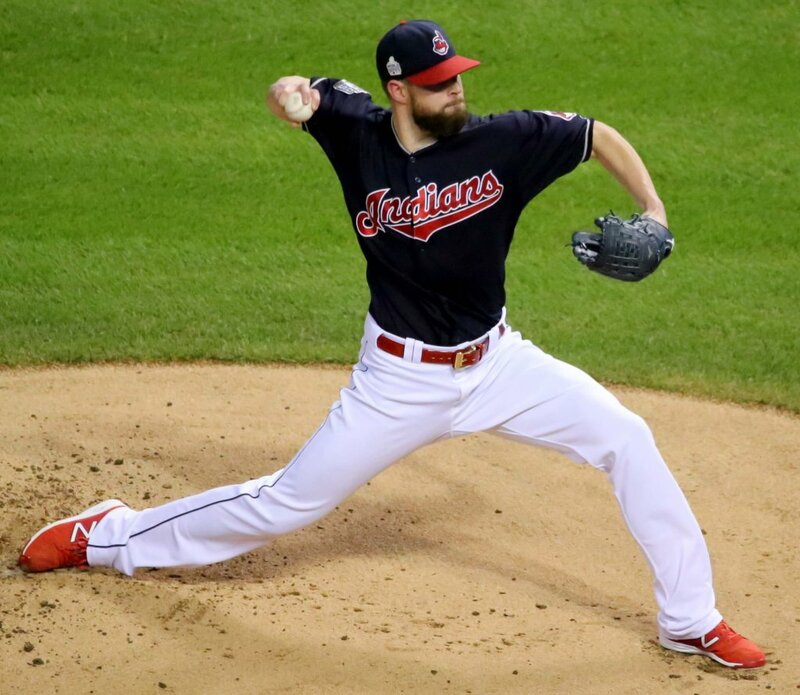 Cleveland’s Corey Kluber (pictured) used a strong second half to scoop the 2017 Cy Young award from Chris Sale. Photo by Arturo Pardavila III (flickr) [CC License]. 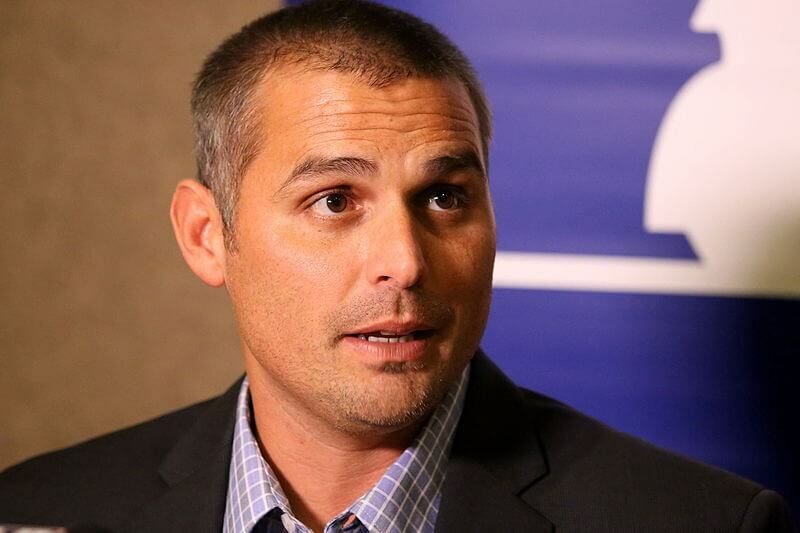 He’s not being given much to work with, but Tampa manager Kevin Cash still might take the heat if the Rays start slowly. Photo by Arturo Pardavila III (flickr) [CC License]. 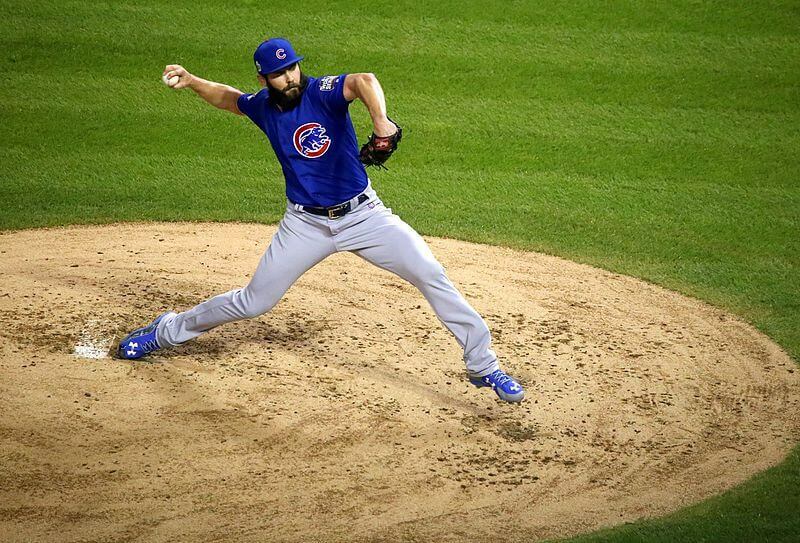 There’s no way Jake Arrieta doesn’t find a home before the season, right? Photo by Arturo Pardavila III (Flickr) [CC License]. 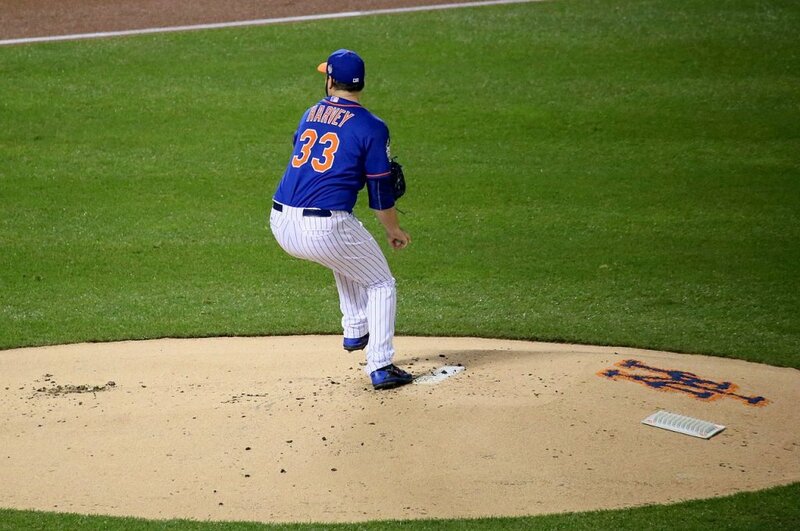 If the Mets aren’t winning, will they try to deal Matt Harvey and start a rebuild? Photo by Arturo Pardavila III (Wikimedia Commons). 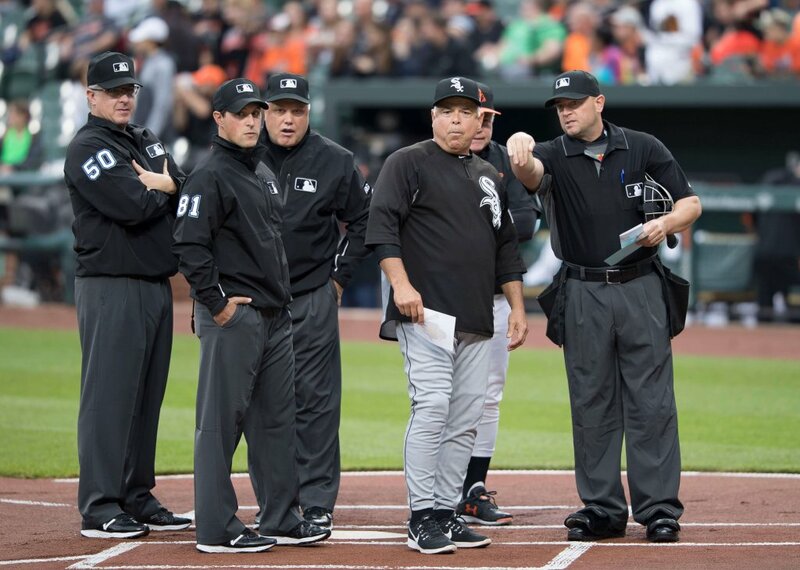 There were no 100-loss teams in the MLB in 2017, but Rick Renteria’s White Sox will give that number a run this year, along with the Marlins and Tigers. Photo by Keith Allison (flickr) [CC License]. 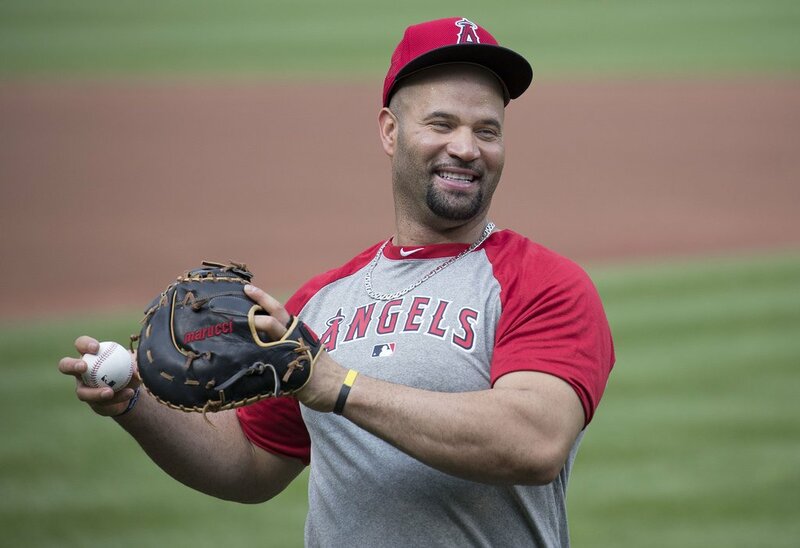 Albert Pujols will become the latest member of the 3,000-hit club this season, barring injury. Photo by Keith Allison (flickr) [https://creativecommons.org/licenses/by-sa/2.0/]. Newest Yankee Giancarlo Stanton (pictured) and 2017 Rookie of the Year Aaron Judge will form the most potent 1-2 punch in the bigs. By Arturo Pardavila III (Wiki Commons) CC License. Of all the odds in this article, we’re least confident in our calculations on J-Lo’s and A-Rod’s relationship future. Photo by Ana Carolina Kley Vita (Wikimedia Commons) [CC License].